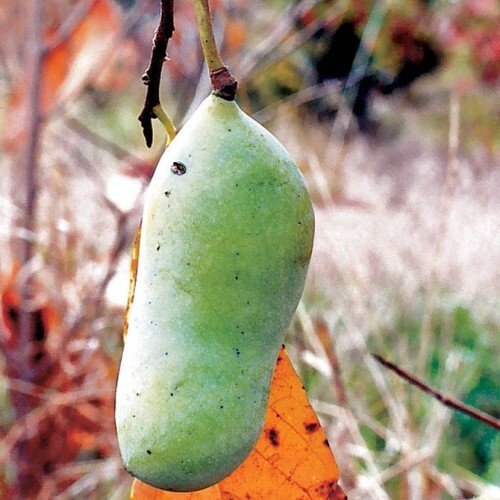 Pawpaw has the distinction of being the largest fruit indigenous to North America. Fruits weigh from 4 ounces to one pound each. The flavor and texture is like a banana with a mix of strawberry and custard. 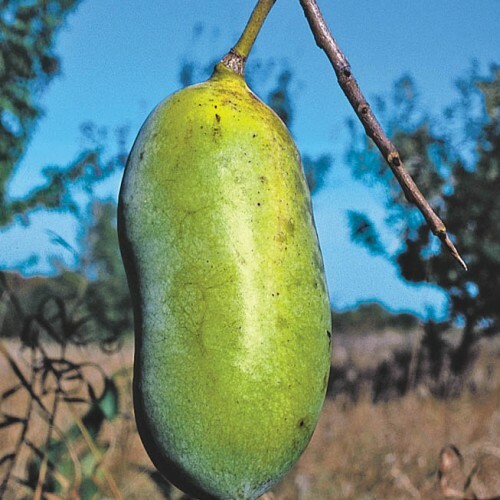 For the full effect, it is best eaten fresh fully ripened on the tree. Can be used in breads, cookies and milk shakes. 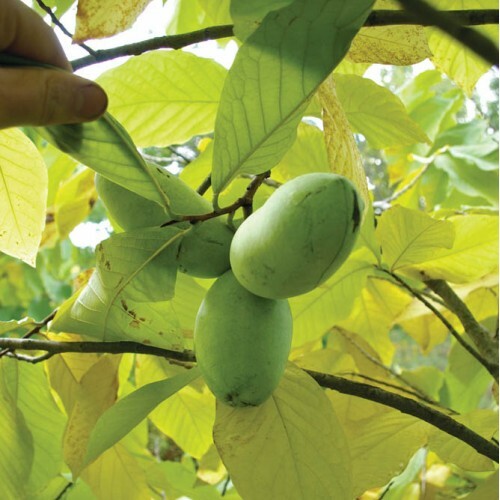 Under cultivation, pawpaw prefers a moisture retentive soil whether in full sun or shade. 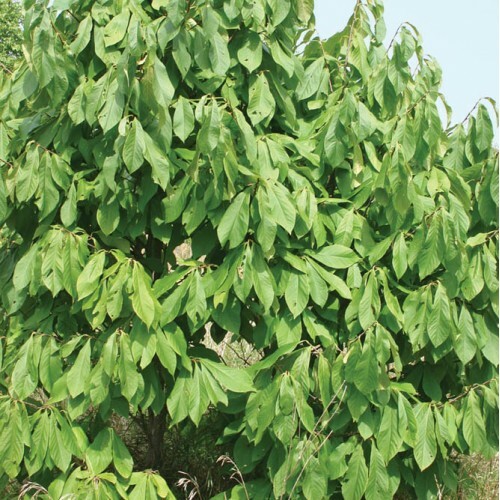 (Will fruit in light shade as well as full sun.) Highest yields per plant are in found in full sun. 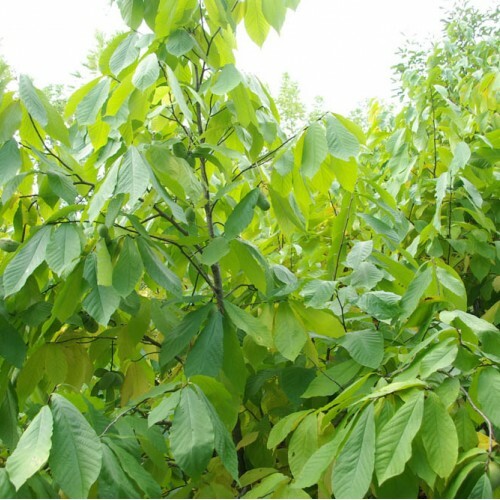 Our strain is grown from seed originally from the Corwin Davis collection of which much of the seed was collected from improved grafted and wild selections found in the most northern part of its range here in Michigan. This strain is the most northern form found in the U.S. Our planting was started in 1988 and has grown to include other northern Illinois plants known for their large fruit size, flavor and productivity. 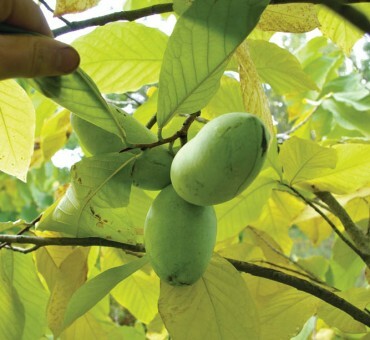 All pawpaws need two genetically different plants to set fruit. (This is what we provide.) Unlike persimmons both plants will set fruit. 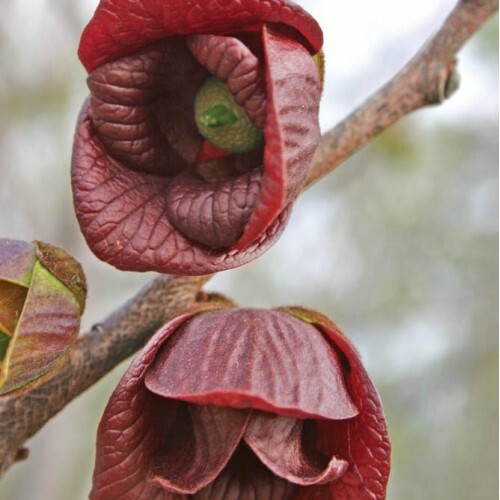 Cross pollination is best when plants are within 15-25 ft. apart. Use 1 cup of gypsum around each plant when setting out to improve growth rate. Use Soilicious for the best results in transplanting. Self infertile. Two plants needed. Both will fruit. Does best in moist, rich cool acidic soil. Not a dry sand plant. Zone 4ish-9. Not a northern Michigan- USA plant for short season. Zone 5 and south ideal. Medium effort in good conditions. Takes a year or two to really get started. Once growing incredibly durable. Tricky in windy high sun areas until the tap root is locked in. Not for western or high plains areas.